PACK & SEND are the experts in international shipping, offering comprehensive freight and parcels services to and from Nepal. No matter what size, how fragile or awkward your package is, our experienced team will find the best solution for getting your shipment to Nepal, whether it’s Kathmandu or Pokhara. 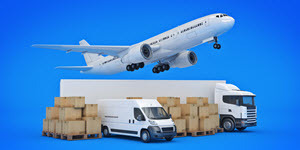 PACK & SEND’s is Australia’s most trusted courier and freight service for both local and international shipments. Whether you’re a business or an individual, we can provide you with a standard or tailored solution for any goods you need to send. Whether you’re sending gifts to family in Patan, or you need to send excess baggage back home from Bhaktapur or Janakpur, our expert team will have you covered with a secure, cost effective and dependable service.